Best price deal. Air-dried, moisture content: 25 – 30%. 9″, 10″ (default size), 12″, 15″, 18″ lengths. Price per cu metre, including delivery. Delivered usually within five working days. Tipped, using a Land-Rover (1.0 cu m, illustrated here), or trailer (2.0 cu m). 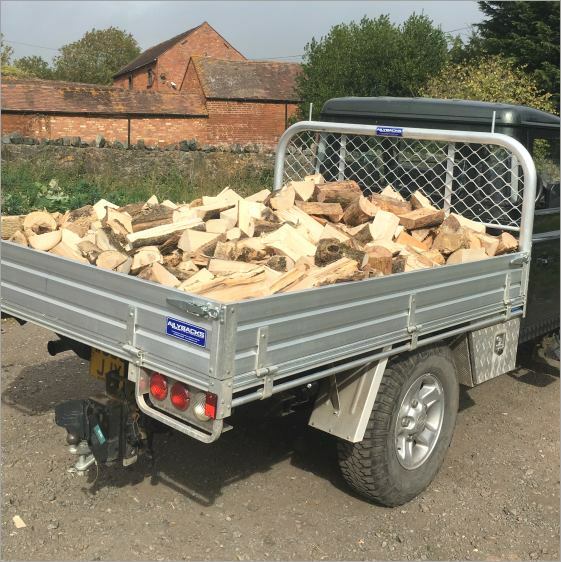 Good value if you can cope with loose logs, or want a custom-cut size.